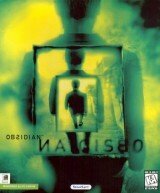 We have 53 adventure games in our database that start with the O. If you're looking for a specific game, try using our adventure game search page. You're currently on page 1 (of 5). Obduction begins with… well… an abduction - your abduction. On a crystal clear, moon-lit night, a curious, organic artifact drops from the sky and inexplicably whisks you away across the universes to who-knows-where (or when, or why). On the eve of war, as the diplomatic correspondence between the Federal Colonial Republic of Britannia and the Germanic Empire reaches the boiling point, a well-known nuclear weapons expert is murdered in Berlin. A boy who can barely remember his own parents has been the victim of bullying in a dirty old orphanage since a young age. 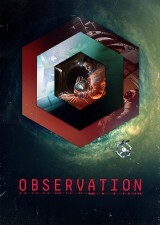 Observation is a science fiction thriller uncovering what happened to Dr. Emma Fisher, and the crew of her mission, through the lens of the station’s artificial intelligence S.
You arrive, a stranger in a strange land. 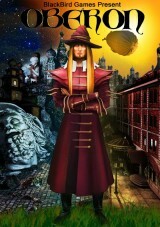 Confused, disoriented, you make your way through the twisted, surreal world in search of your partner, Max. A terrorist attack has left 23 dead and become a catalyst for the creation of The Union Act, a controversial act which threatens the civil liberties of the British population. Assume the role of Kaf Kafkaryan, a cowardly middle-aged octopus blood junkie and tentacle trimmer, living in a city built around a giant octopus. 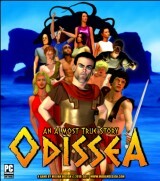 Odissea is an adventure that "almost" recounts the deeds of Ulysses after defeating Troy. Imagine you’re a talented and funny engineer, part of the crew on a voyage into outer space. The crew of the scientific ship San-Francisco, which went missing thirty years ago, has finally returned. Obduction is clearly not aimed at impatient gamers with older hardware. But Myst enthusiasts and exotic-world explorers will find a whole new stupendous universe to fall in love with, and fans of mind-bending challenges will find themselves in paradise… most of the time.